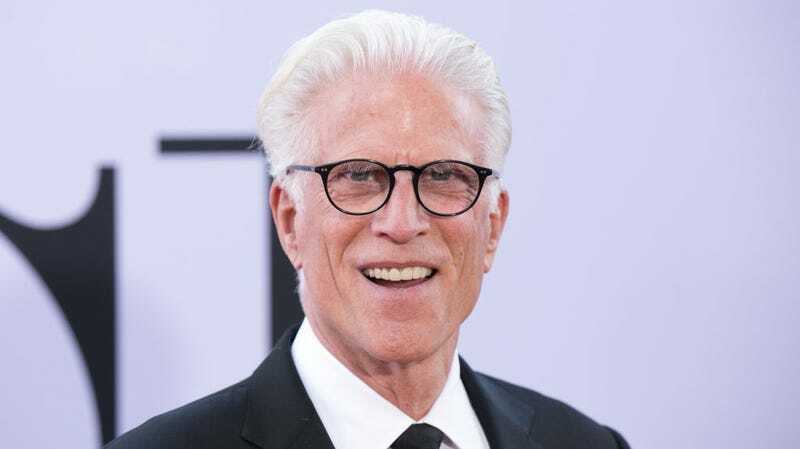 On last night’s episode of The Good Place, Ted Danson finally showed the world the results of his lovingly documented flossing practice, delighting viewers with an image now indelibly inscribed on television history. As documented by the historians at Vulture, the moment was a long time coming. In an article describing the background of Danson’s floss, Joe Mande, The Good Place’s co-executive producer, said that the show’s creators had long been looking for an excuse to get Danson boogieing on screen. Last night’s episode, in which Danson’s Michael makes a seemingly hopeless appeal for afterlife reform to Maya Rudolph’s Gen, presented a perfect opportunity. “We decided the saddest thing a desperate demon in a 70-year-old’s skin-suit could do in that scenario was to start flossing. So that’s what we went with ...” Mande said. Though Danson didn’t know what flossing was during his first encounter with the term during a table read, he was determined to master the art of the backpack kid immediately after discovering it. Do you hear that? Truly, the man gives so much for his art. Mande, in his interview with Vulture, makes a good start in an appraisal of Danson’s dancing that calls the actor “an American treasure.” This is too restrictive. His studiousness and sacrifice are for the entire world. We must praise Danson as a global treasure, unrestricted by arbitrary borders.